Why do boys get to have all the fun? They don’t! Here at Toys For Big Girls, we know that all you ladies out there want the same things that we list over at Toys For Big Boys – a classic and customized (wo)man cave included! Enter she sheds. Picking up steam over the past couple of years, this new trend is targeted specifically towards women. It’s simply a female-oriented version of those classic man caves that have become so popular over the past several decades. She shed is the name given to the female equivalent of a man cave. They are designed specifically with ladies in mind to provide a space for escape and relaxation. 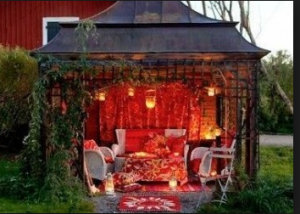 Every woman needs a she shed as a place to kick back, escape the stresses of everyday life, and indulge in whatever it is that makes you happy. As their name implies, most she sheds are setup outside of the house (rather than in the basement or garage like many man caves). Some of our favorites are constructed in backyard nooks in the form of tiny cottages (or sheds). If you’re familiar with the tiny house movement, then you already have a solid idea of what the most popular she sheds look like. So what exactly do women do inside of a she shed? For starters, they provide you with a private space that it all your own. They give you a place to go to escape it all and spend quality time alone. Many women use their she sheds for reading, gardening, and creating. But, seriously though, the sky’s the limit. You can use your she shed for anything you want: even classic man cave activities like drinking beer, hanging out with friends, or watching the big game on TV. What we’ve been trying to say so far is that there are no rules when it comes to designing and building your very own she shed. While most are located in backyard cottages, why not put yours in the basement, attic, garage, or spare bedroom? 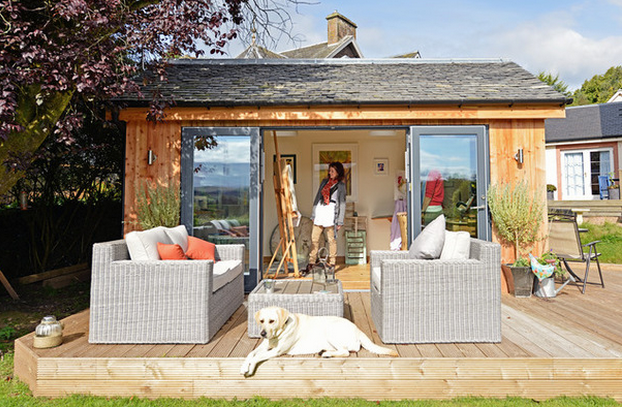 Really, anywhere you have a little extra space is the perfect place for your she shed. With that said, there are a handful of things to keep in mind that will help you make sure your she shed is everything you want it to be. First and foremost, you should define the purpose of your she shed. What are your interests? What are your hobbies? What do you envision using your private space for? Pin down what it will be used for and that will make designing the ultimate she shed that much easier. Decorating is one of the best aspects of having your very own she shed. In fact, the decorating process can be just as fun as using the finished space. You’re the only one making decisions. No need to run anything by with your partner. Whatever kind of décor you like, it’s fine. Best of all, there is nobody to clean up after except for yourself. Why Do You Need a She Shed? 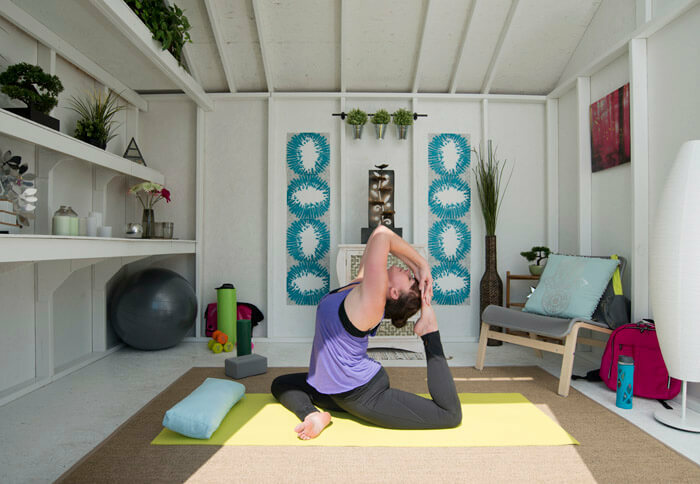 A better question is “why don’t you need a she shed?” They’re all the rage right now – and for good reason. They offer up the perfect area to relax, unwind from daily life, and spend time enjoying your favorite hobby or activity. If you’re a lady, especially a lady with a family, then you’ll love all of the benefits that a she shed brings with it.